With over 75 years of experience, our team at Pyle Fence knows how to work with almost any fencing material to create unique styles and durable fences. Ornamental iron fences serve a multitude of purposes and are a bold, elegant statement for any property. 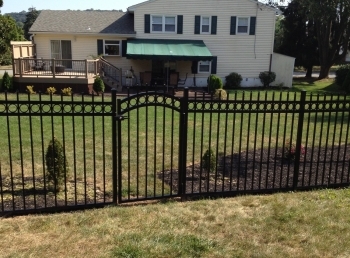 We offer fence services in Baltimore to create distinctive ornamental iron fences that serve residential, commercial, and industrial needs. Whether you’re looking to gate off your home or business, Pyle Fence can offer many ornamental iron fence options to suit your distinct style. iron fence today. Call us at (410) 426-8319 for a free estimate today!